One of the most common everyday emergencies is getting accidentally locked out of your car or home. Although this is generally more of an inconvenience than an life & death emergency, if you are locked out in the middle of the night, you could find yourself in a dangerous situation that requires quick professional locksmith services. 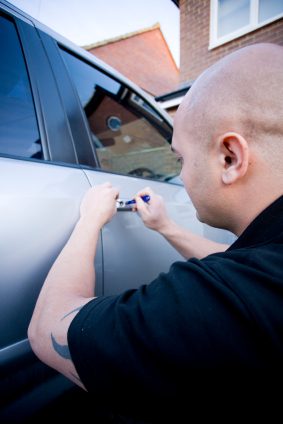 It is important that you have chosen your emergency locksmith before you find yourself in this predicament so that you can get the help you need right away and know that who you are calling is a service your can trust. Pre-Lock Security Services will respond to your location at any time of the day or night to get you back in your home or vechile quickly with no damage to your home or car. Pre-Lock Security can also help you fully secure your vehicle and has a network of 24 Towing Services that we work with round-the-clock to help you bring your car to an authorized repair faclity if it needs more help than a key. If you are ever the victim of a break in call us anytime, and we will fix any broken windows and locks 24 / 7. If you would like to avoid ever being the victim of a home invasion, consider having us come and provide you with a complete no obligation risk assessment of your property for any security issues that we can solve well in advance and overt easy access to your home. All of our consultations are completely obligation-free and performed by professional security experts that will explain exactly what should be done to make your home secure. If you have lost your keys, we can also rekey your vehicle and home to insure that no one can use them when they find the keys. We recommend that you always rekey your locks anytime you purchase a new property. You never know who has a working key that can be used to access your property while you are sleeping or not home. Rekeying is an very inexpensive security solution and is always the first thing you should do after you get your keys from your lawyer following the closing. Let's face it security starts right at your front door. Remember we offer "Real Security Under Lock & Key"